David Le/Gloucester Daily Times. 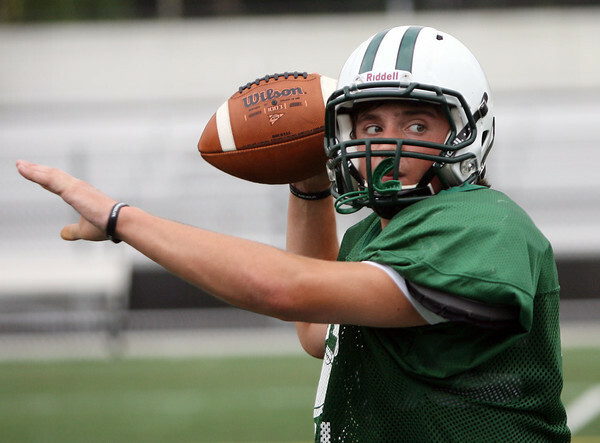 Manchester-Essex junior quarterback Cory Burnham keeps his eyes on his target during practice on Thursday afternoon. 8/25/11.